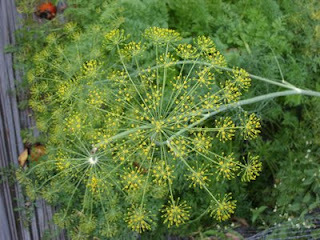 It was a great year for herbs, especially the dill. Unfortunately, I didn't have enough beans to make dilly beans, so it all ended up mostly for show. We did serve cucumbers with dill and vinegar a lot, which was refreshing, but it didn't begin to use the masses of dill that grew so well this year.